This week Charlie is with his kids on half term duty and took them to see the film, Deepwater Horizon (12A), which is based on the real life story of a catastrophic oil rig explosion in the Gulf of Mexico in 2010, and the men who lost their lives to the disaster. When we watch disaster films, can we class it as relaxation, or does it count towards CPD? I was going to use the word ‘enjoy’ instead of relaxation but I am not sure it is really appropriate when we know that in real life 11 people died in the Deepwater Horizon disaster. This week I took my two daughters, Amy (15) and Phoebe (13), to watch the film with the premise that I wanted to hear their comments! 1. To make good entertainment, you always need a baddie. 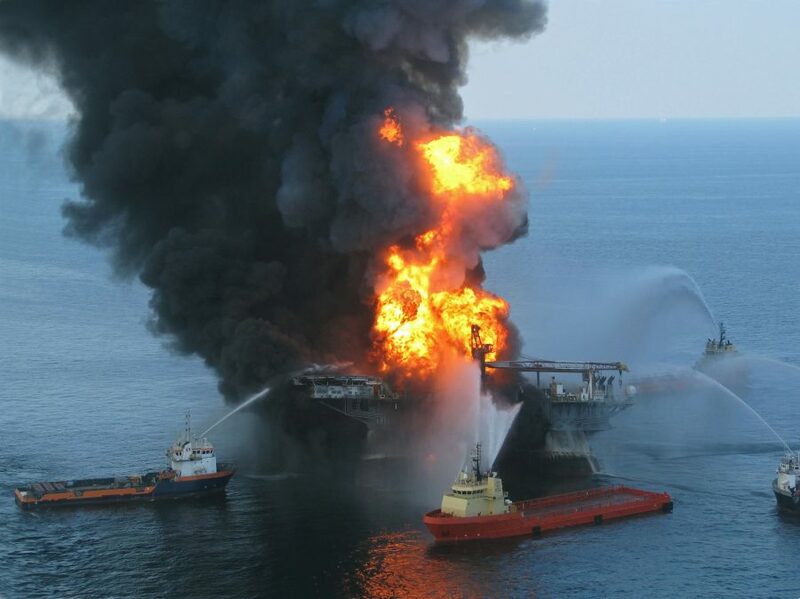 BP was portrayed as the company which didn’t spend enough on maintenance on the rig in order to save money, and this contributed to the incident. It was also portrayed in the film, that as they were 43 days over the project time they didn’t check the cement properly around the blowout preventer to save money, and this also contributed to the incident. I suspect the truth may be a little more complex than in the film but we know that poor maintenance and cutting corners is one of the key causes of disasters. 2. The film centres around a massive explosion on the rig. If the Hollywood version is anything like the real version, it was quite horrific. My eldest daughter commented, saying she hadn’t realised how bad it got. My lesson from this part of the film was how few people on the rig were actually killed. Many of those who were killed were as a result of the initial explosion. That fact that only 11 died of 126 people that were on the rig is testament ,I think, to good emergency procedures and people knowing what to do in an emergency. They have learned from Piper Alpha rig that exploded in the North Sea in 1988 killing 167 by improving their procedures and when in doubt evacuate the rig. 3. In all disaster films there is always a hero who sacrifices themselves to save others and in Deepwater Horizon this is a crane operator who climbs into the crane cabin to move a jib which is threatening to smash into the life boats. In real life, again, people are capable of immense heroism and sacrifice. 4. As well as the hero there is always the person who won’t go outside the rules even if the circumstances seem to force a decision. To cut the riser from the sea bed to the rig which was fuelling the fire, external authorisation was required. I think we need to make sure that our staff understand when they can go outside the ‘rules’ if an incident or common sense requires it. 5. At the end of the film the survivors on the support vessel are seen under the rig manager saying the ‘Lord's Prayer’ all together to thank god for their deliverance. In many situations of extreme danger people find or more often re-find religion. 6. As part of oil and gas procedures they set up a reception centre to reunite survivors and their loved ones. Oil and gas have prepared for this, but how many other industries are prepared to deal with death and injury and have plans in place and trained people for dealing with relatives. I think this is an area which is often neglected. 7. Towards the end of the film as the survivors are reunited in a hotel with their families. There is a part where a relative starts manhandling a survivor trying to find out whether his son is alive or not. I think in an incident we have to be ready to handle a range of emotions, from those who have been involved in the incident, to those managing it and the loved ones of those caught up in it. 8. At the end of the film, photographs of the the two hero’s, the technical manger and the person in charge of the rig were shown. My observation is that people who are real life heroes are never as good looking as the actors who portray them! Go and see the film, we as a family all enjoyed it although my eldest daughter was a little scared, but it reminds us about the nature of incidents and issues we may encounter within them.